The number of cases of asthma in the world is rising at an alarming pace. Heavy urbanization and deteriorating weather conditions play a huge role in this. According to the report of the World Health Organization in the year 2013, it is estimated that 235 million people worldwide have asthma and about 250,000 deaths are due to asthma. Asthma also affects many children and is considered one of the leading causes of chronic illnesses in this population. It can develop at any age from infancy to childhood but many children have symptoms by the age of 5. Thus, it is very crucial to know even some basic knowledge about this condition and how it can affect the lives of people at risk. Asthma is an inflammation of the bronchial tubes that leads to an increase in the production of sputum (mucus-like sticky secretions). Patients experience symptoms of asthma when the airways tighten, fill with mucus, or get inflamed. Common symptoms of asthma include coughing (mostly at night), shortness of breath, wheezing, chest tightness or pressure in the chest area. But not all patients will have the same symptoms. Patients can experience variable symptoms at different times depending on the severity and chronicity of the attack. Some people may experience periodic intense symptoms. Some might experience mild but persistent symptoms or one that occurs daily. Some people may experience limitations in activity such as exercise or flu-like symptoms such as cough, colds and sore throat. 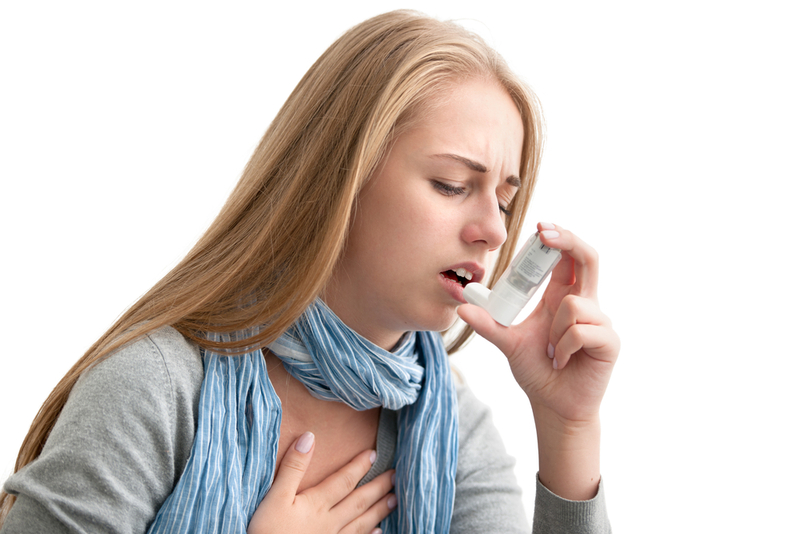 It is important to recognize the intensity and the frequency of your asthma attacks. Treatment of even mild symptoms may help you avert severe attacks thereby controlling your attacks better. Constant signs of a colds or allergies. An asthma attack can be rescued with an inhaler such as Ventorlin, which serves as a bronchodilator. However, during a severe attack, it is important to visit a hospital or your physician for proper evaluation and treatment. Improper treatment can lead to cyanosis – bluing of the lips and fingernails caused by poor oxygen levels in the blood which may lead to other grave consequences.